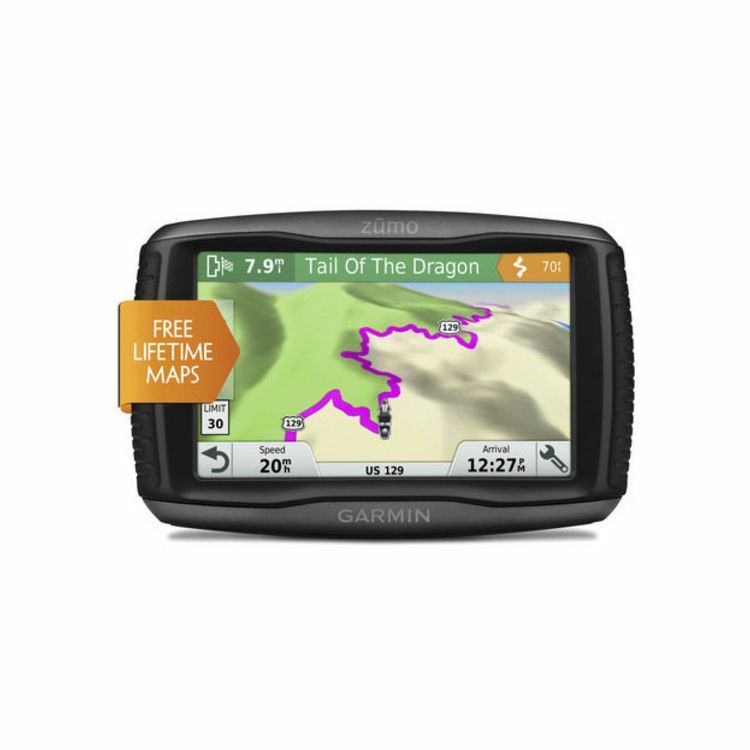 Is anyone here using the Garmin Zumo 595LM Motorcycle GPS? If so, what do you think about it? It looks the best option for an upgrade. Way fancy options. The Zumo 590/595 is an excellent unit. 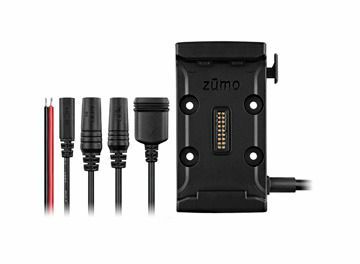 Garmin now has a new, smaller Zumo 396 model that has most of the same features for about $200 less. We use Garmin Basecamp software (free) to build routes and xfer them to the Zumos. The "What's Ahead" and "Skip Waypoint" are our most used 'extras'. What's the "What's ahead" feature on those units? How do you like Basecamp for route planning? If you're running a route, What's ahead displays a side panel with Gas, Resturants, or Rest area options. Touch one and it lists the places and distance. Pick a place and your route will add as a waypoint on your trip. Similar to the search category when looking for a type of business, etc., but focused on your route (if you are running one). If not running a route, it lists places in order of distance. Basecamp has come a long way and is now a solid application for saving your tracks or creating routes that can be downloaded directly to the Zumo or put on SD card as .gpx files. 99% of rides I lead are pre-mapped and loaded on Zumo. You can also preview your route in Goggle Earth to see terrain. Ive got the 595 and love it. The best feature is the tire pressure monitoring system.... Extra $ for the sensors though :>(. I cannot get the hang of Base Camp though. I like MS Streets and Trips but I can't figure out how to transfer the files to the Zumo. Has anybody done this? I used to use Streets & Trips but the conversion to gpx was a pain. If I recall, you can save S&T routes as kml and upload to google maps then convert to gpx but that was several years ago. When Basecamp dramatically improved a couple years ago I switched because of the simplicity of moving routes and tracks directly between the Basecamp & Zumo memory or SD. The learning curve is not bad if you can avoid trying to use the S&T methodology to build your route. You could also try Tyre as another mapping alternative. How long have you been using the tire pressure sensors? Have you noted them coming loose? Just got a 595 and that was an intriguing option. They would be amazingly useful on my trail bike but I doubt they'd survive long. On the street bike, it would be nice to know if a tire is going soft. You can plot out routes on this site and then export the GPX files to your Zumo. That's what I do with all my trips. Just click on your profile name (upper right corner). Then click maps. Then click new map. You can click on the map to drop a waypoint marker. (click, then select the 1 marker in the upper left). The next one will be 2. And so on. You can drag them. You can click on the route to insert one. When you're done you can click the "GPX" button to download the GPX route that you can put onto your garmin. I'll write up some easy instructions in the next few days. I have had the sensors installed for about a year. No issues at all.